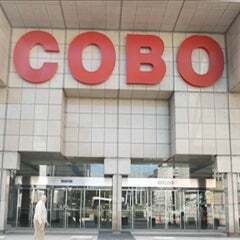 Please join us for a Cobo Cares Event: Zumba® with Ivy Mitchell on Cobo Square, Thursday September 21, 6:00pm -7:30pm. You must register in advance to participate. Please plan to arrive 15min-30min early. Admission to this event is free, but items for COTS (Coalition On Temporary Shelter) will be collected for those wishing to donate. Event-day registration will begin at 5:30 PM and the session will begin at 6:00 PM. 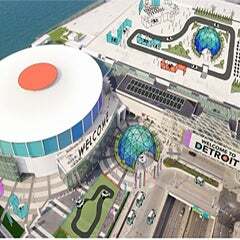 Parking is available for $10/ car on the Cobo roof. Please dress comfortably and bring a water bottle. 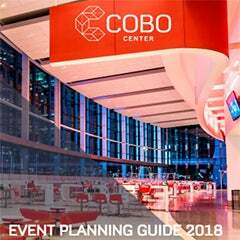 In case of inclement weather, the session will take place indoors in the Cobo Center atrium. What is Zumba®? A type of group physical training program conducted by Ivy Mitchell. As former military personnel, her program is designed to build strength, as well as tighten tone and build endurance through a variety of effective, yet fun group intervals over a 1-hour period of time.